We offer all types of Brass Anchors Brass Anchor fasteners Brass Anchor Bolts Brass Expansion fasteners Brass Drop in Anchors Brass concrete anchors. 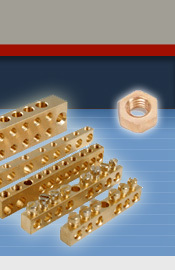 Brass Anchors and Brass Anchor fasteners are manufactured with precision and strength in the materials. They are quite appealing with tremendously sturdy for superior grip and hold to the surfaces to which they are anchored. In our Jamnagar factory produces Internal Tapering module is done which enables the Anchor to expand and to auto lock the suspension rod and gets into position.  Suitable for solid brick, light concrete hollow core concrete panels and timber. 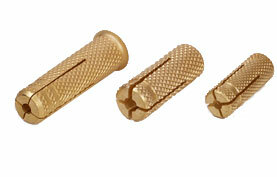  Brass anchors Brass Drop in anchors Brass anchor fasteners Brass expansion fasteners are also useful with light weight rail fixings. All Brass Anchors i.e. 4mm 5mm 6mm 8mm 10mm 12mm and 16mm have are fine knurl . • Fixture can be removed and replaced. 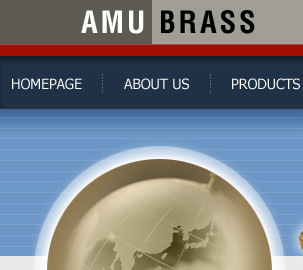  For manufacturing of the sturdy Brass anchors in good quality brass, high grade brass rods are cut and drilled and threaded for reliable anchoring.  Brass anchors anchor fasteners and drop in anchors are multifaceted components and are able to work any surface like brick, concrete, metallic or timber based surfaces. 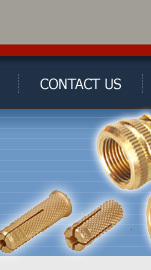 They are available in 4mm 5mm 6mm 8mm 10mm 12mm 16mm threads.  Brass anchors anchor fasteners come primarily in natural brass, however they can be coated with chromium nickel, copper or SS for extra strength and looks.